Small molecule similarity modeling and clustering for Richter Richter Gedeon Ltd. 2004-2006. Molecules are easy to be represented by labeled graphs. Unfortunately, this representation is not very suitable for computing similarity between molecules. Therefore, fingerprint models are applied to solve this problem much more efficiently. 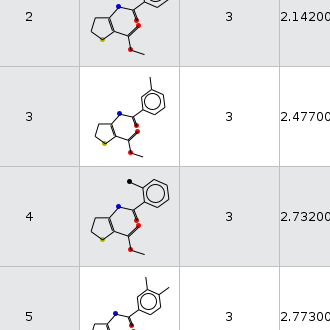 As a next step, molecules can be assigned into clusters, based on their pairwise distances.